Can You Mine Other Cryptocurrencies? Cryptocurrency is a kind of digital money that was designed to aid a more secure transaction without stress. The idea of cryptocurrency came from the need for decentralization. By decentralization, we mean a kind of money that will not be controlled by any central authority. So in the system, as a cryptocurrency holder, you are the authority. This means that you can move a large amount of money anonymously without any hassle either from the bank or from the government. In essence, you are the bank. Before any cryptocurrency can be used or spent as the case may be, it has to be mined just like the traditional currencies must be minted before spending. There are special equipments designed to solve all these complex mathematical problems leading to the generation of new blocks per time. What are the different types of cryptocurrency? Cryptocurrency is a derived name for bitcoin and every other coin using a similar technology as bitcoin. Unfortunately, whenever and wherever cryptocurrency is mentioned, the first thing that comes to mind is the Bitcoin. Apparently, bitcoin was the first and the largest cryptocurrency ever to be launched. Over time, bitcoin became widely accepted and the demand for it became very high, leading to inflation. Bitcoin became almost unaffordable at some points. 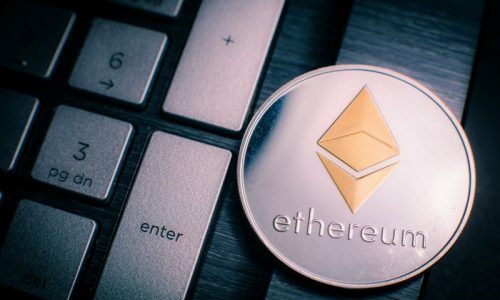 Ethereum: just like Bitcoin, Ethereum, is a distributed public blockchain network. It allows developers to build applications that are decentralized and deploy them. These applications run without any chance of fraud whatsoever. Ethereum coin can be transferred between accounts and also traded for other currencies. Litecoin: this is a peer-to-peer network cryptocurrency and open source software that was released in 2011. It is considered the silver coin. The creation and transfer of coin require an open source cryptographic protocol and just like bitcoin, it is decentralized. Dash: dash is a name coined from what is known as Digital Cash. It started earlier as Darkcoin and Xcoin. It is decentralized and seen as an alternative to bitcoin. 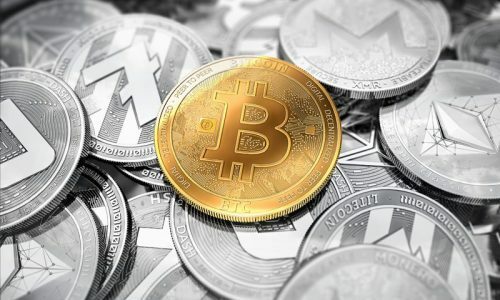 Other cryptocurrencies working with a similar technology include: Bitcoin cash, Dogecoin, EOS, Tether, Cardano, Monero, Tron, Nem, and tons of several other coins. Cryptocurrency runs on a blockchain technology. The blockchain was designed to keep track of every single transaction made and the ownership of every single cryptocurrency. Although there are still some unclear thoughts about the idea of cryptocurrency. It is just simple to say that cryptocurrency is another kind of money that can be considered easy to use. Although there is no physical form like the fiat currency that can be handled, it can be used to purchase pretty much just about anything you can do with the fiat currency. Just like every other randomly known currency, cryptocurrency can be used in the purchase of goods and services. Apart from the fact that it is a suitable medium of exchange, it can also be an excellent form of investment. However plausible that may sound, it comes with some complexities. This is because the prices of these currencies per time can be subjected to a series of fluctuations. The reason for this is not far-fetched. The demand for these currencies at different times fluctuates too. When bitcoin was first introduced, a unit of bitcoin was as cheap as 10 cents. As a matter of fact, any individual could claim as much as 5 bitcoins in a single faucet. Now, that same volume of bitcoin is worth thousands of dollars. How can I get cryptocurrency? There are several ways to acquire a cryptocurrency. You can choose to get paid for a good sold or a service rendered in any cryptocurrency of your choice or trade your traditional currency for any cryptocurrency you like. 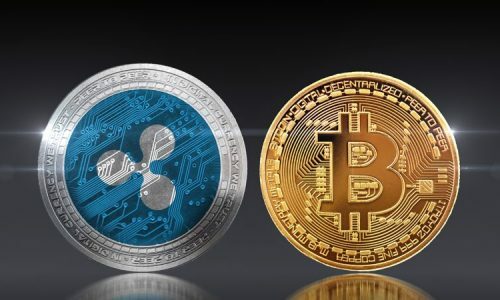 There are lots of exchangers online who will sell you any cryptocurrency of your choice for an equivalent amount of your traditional currency. Each cryptocurrency has its own wallet where it can be stored. Just like your bank account, you will need to create a wallet for any cryptocurrency you will like to own. It is important to know this. You can mine any cryptocurrency of your choice. As a matter of fact, the only way any cryptocurrency can be generated is through the process of mining. Since the system is decentralized, it is run by miners. The technology behind cryptocurrency is such that people (miners) can generate new blocks of these currencies through a process known as mining or digging. Each cryptocurrency requires its own designed equipment with its specific algorithm to be mined. These equipment require a lot of technical, and the cost of maintenance is high. Imagine that you want to mine Etherium and litecoin. You will need to buy the equipment requires for the mining of these two coins differently. However, there is a general way to mine any known cryptocurrency of your choice. This process is known as cloud-mining. Several cloud-mining companies already have all the equipment for mining any known coin. To mine any cryptocurrency of your choice, all you need to do is to buy what is known as hash-power. Mining is done on a general scale by the company and any generated cryptocurrency is shared according to the hash-power purchased by any individual. Pay-outs are done mostly on a daily basis and you get to see the mining progress as it goes. The mining process generally involves the decryption of some difficult mathematical codes. There are special devices and special programs built to solve these mathematical problems involved in the mining process. Each time a pool of miners have successfully solved these complex mathematical problems, new blocks of the involved cryptocurrency are generated. The generated blocks are then shared accordingly among the miners depending on the hash power each miner contributed in the mining process. Transactions done are updated and shared accordingly in real time. The mining technique may vary from one cryptocurrency to another. However, generally, cryptocurrency mining involves adding transactions to the blockchain (which encapsulates securing and verifying such transactions) and also releasing new currency. After the mining process, there is what is known as proof-of-work (POW). It is with this miners get paid. Some software and written algorithms work for the mining process of different cryptocurrency, it is possible to do what is known as self-mining but the cost of doing this is almost as high as exchanging your traditional currency for any cryptocurrency of your choice. In other words, self-mining can be very expensive and can pose a lot of difficulties. This is what we mean.